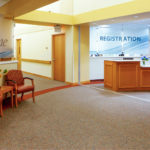 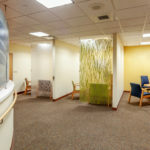 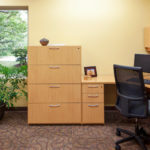 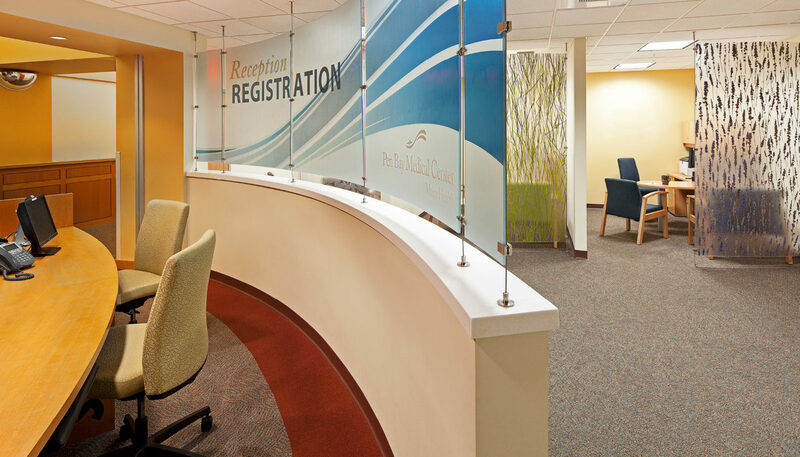 Pen Bay Medical Center’s new registration area enhances wayfinding and privacy while adhering to the organization’s brand identity. 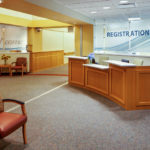 Formerly blocked by a structural column, the redesigned registration desk is now visible from the main corridor. 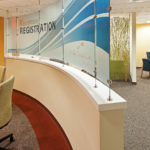 Three registration areas, made semi-private with distinctive resin screens, provide a visual and acoustic barrier, while improving traffic flow. 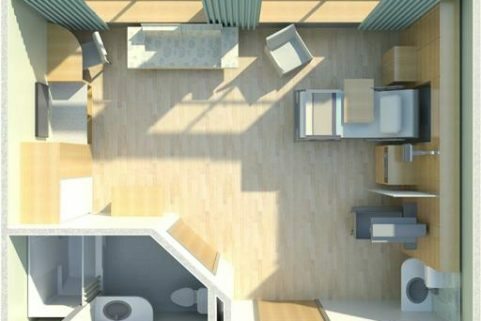 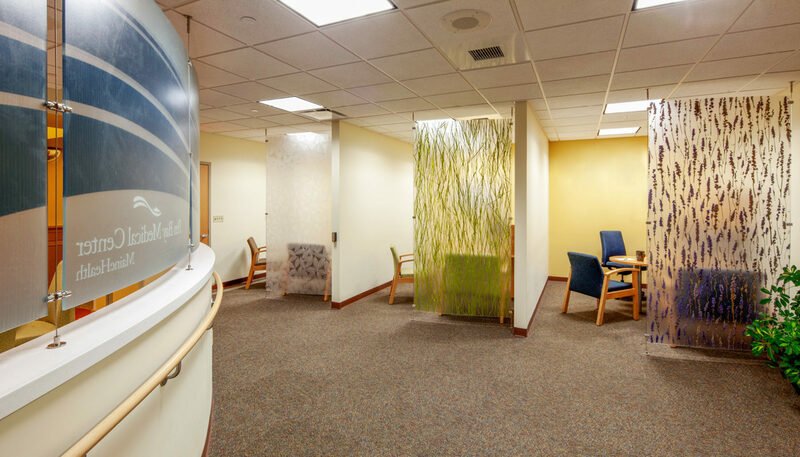 Curved walls and custom-designed furnishings that mimic the floor-plan design create an aesthetically pleasing, inviting space. 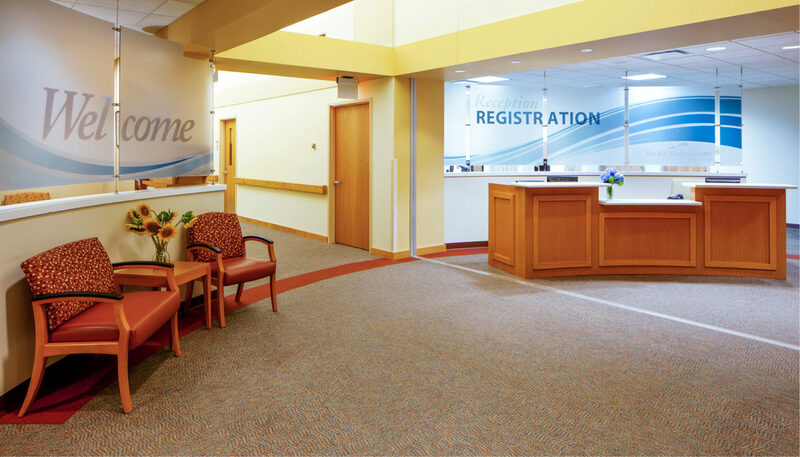 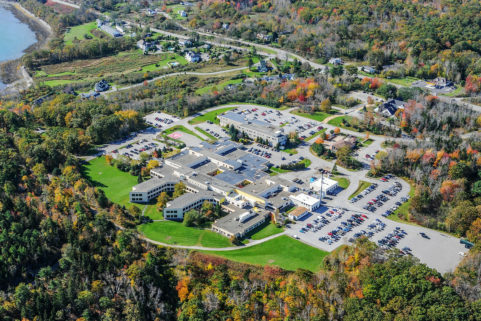 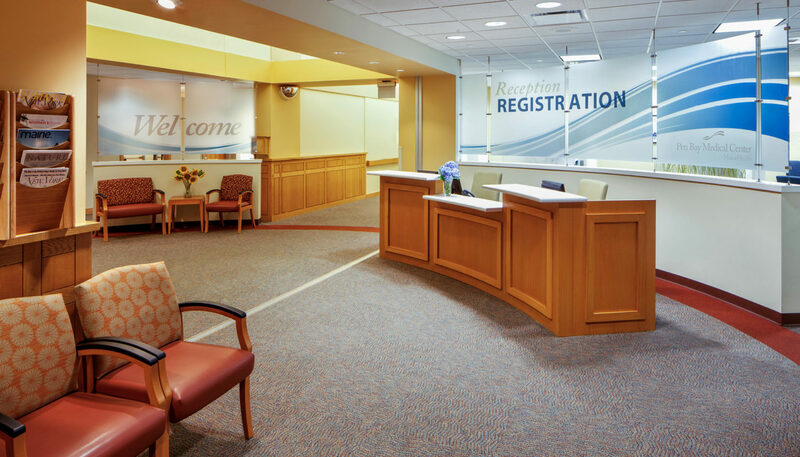 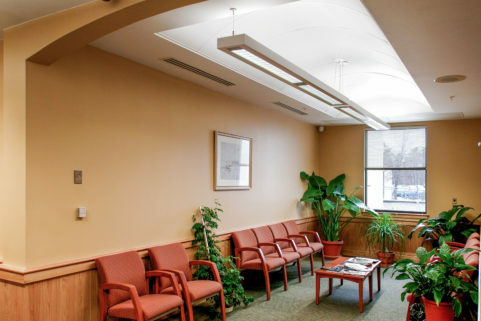 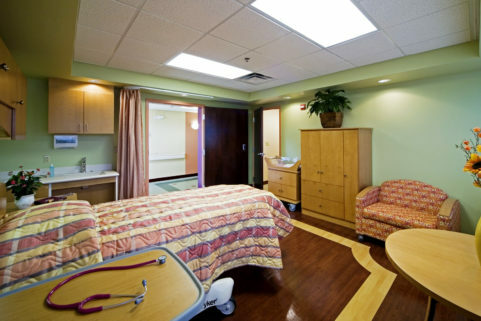 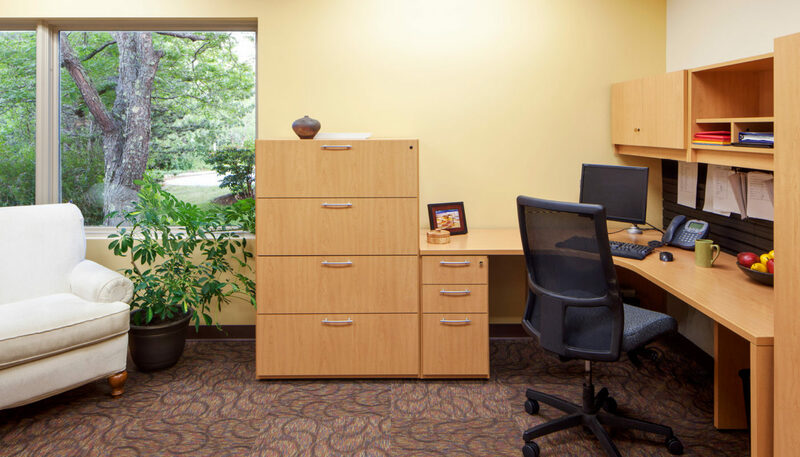 With its distinctive signage, patterns, and colors, Pen Bay’s registration and reception area provides a warm welcome and a clear starting place for patients and their families.